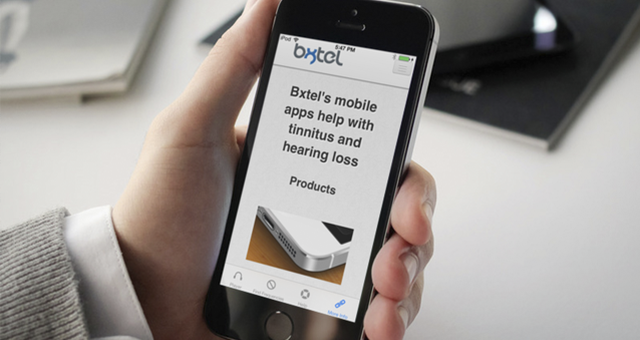 Nix Tinnitus Amp can be used as a low cost alternative to a hearing aid for treatment of tinnitus. Amp addresses tinnitus pain in two ways: masking therapy and notch therapy. It functions like a hearing aid by collecting sound input through iPhone/iPad/iPod microphone, amplifying the sound, and then playing it through the headphones. Masking therapy can be used by enabling the white noise generator to play in the background to mask, or hide, sounds of tinnitus. To make use of notch therapy, the user will first determine the frequency at which he/she experiences tinnitus. Amp can then remove selected frequency from sound output via headphones, resulting in relief by removal of tinnitus-producing frequency from the user's hearing experience. First, ensure that headphones are plugged in or there will be unpleasant feedback. Next, place headphones into your ears. App begins on main screen and starts playing sound from the microphone immediately. If you are in the Settings, Help, or other screens, press the Listen tab bar item to return to the main screen. To identify the frequency at which tinnitus is present, press the Find Frequencies tab bar item. 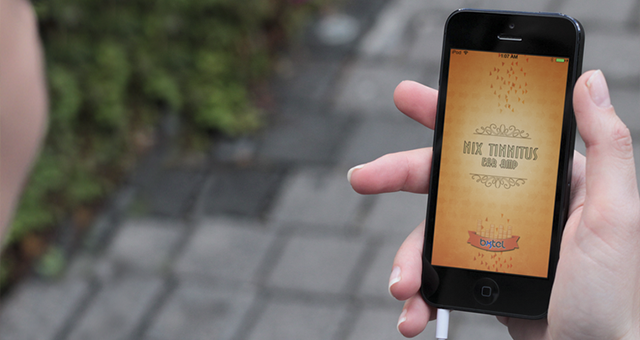 Press the Play button at the center of the screen, and adjust the main slider the change the sound frequency. 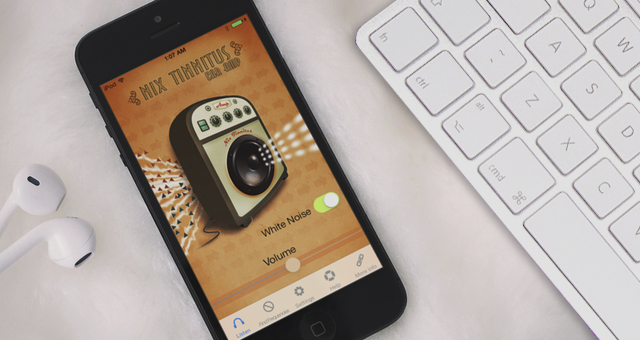 If the resulting sound is similar to your tinnitus, press the Add button in the upper left. If you accidentally press Add for the wrong frequency, just press Remove to delete that selection. Up to three frequencies can be added. 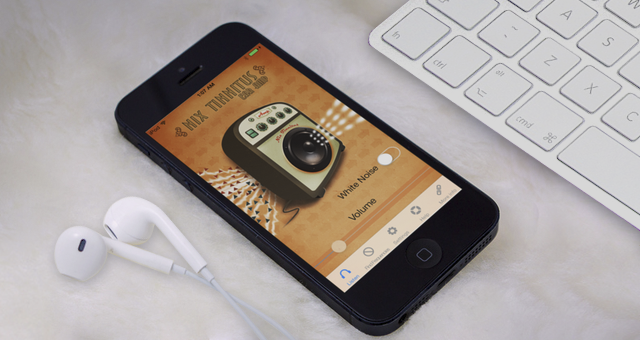 Adjust the volume of the sound with the smaller slider. Once you are finished, press Save and then press Listen to return to the main screen. To enable the white noise generator, press the icon labeled White Noise. To adjust the volume, select the Settings tab bar item. Press Play Sound and adjust the volume to a comfortable level. Press Save Settings when done. Press the Listen tab bar item at the bottom to return to the main screen. Note 1: Use with headphones/earbuds without a built-in microphone. If a headset with a built-in microphone is used, the app will automatically use that microphone instead of the microphone in the iPhone/iPad. Note 2: If you accidentally prevent access to the microphone, go to the Settings, then to Privacy, then to Microphone, and turn on the switch for Nix Tinnitus Amp. 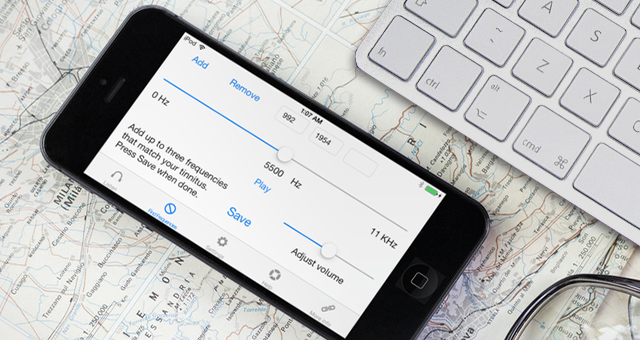 Note 3: If iPhone or iPod is locked to portrait mode, the Frequencies tab will not display properly. Unlock from portrait only mode.